Access Bank Ghana has officially listed its shares on the Ghana Stock Exchange after successfully raising the minimum subscription needed to declare its initial Public Offer (IPO) successful. The bank intends to raise US$104 million from the stock exchange market through the issuance of 118 million shares at GH₵4 per share.By this move, the bank becomes the first bank of Nigerian ownership and the 10th bank to list on the local bourse. 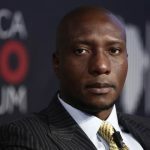 The Managing Director of Access Bank Ghana, Mr Dolapo Ogundimu, said at the listing ceremony at the floor of the Ghana Stock Exchange in Accra on Wednesday, that the initiative had always been part of the bank’s business strategy in the country. 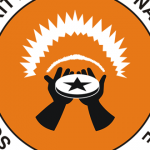 “We have been clear in our minds that to rank amongst the top tier banks in Ghana within the next few years, it was important to make our banking franchise more indigenous,” he stated. He said that certainly involved setting new standards and being more inclusive in ownership. Mr Ogundimu also stated that the Access Bank Group’s experience on the capital market dated as far back as 1998 when its parent company, Access Bank Plc, listed on the Nigerian Stock Exchange. He said the stock over the years had performed creditably and was now one of the most traded stocks on the Nigerian bourse. “Recently, our parent company raised $300 million through a Eurobond on the international market despite Nigeria’s macroeconomic headwinds,” he mentioned. 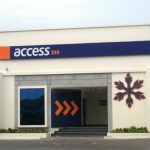 The managing director said he believed the successful outcome of the bond issue further demonstrated the strength, resilience and international endorsement of the Access Bank franchise. Mr Ogundimu also assured the new shareholders of replicating the same performance on the Ghana Stock Exchange. “We assure you of consistently strong financial performance that offers good returns on your investment,” he said. He also promised their customers of the right investments in technology, infrastructure and expansion that would enable it to meet and exceed the expectation of customers in product offering and service delivery. He also ceased the opportunity to urge employees to continue in its quest for excellence and justify the confidence its stakeholders had in it. Access Bank flagship women empowerment programme, the ‘W’ Initiative, women entrepreneurs are set to begin an industry first Female Leadership Programme in partnership with FMO, the Dutch Development Bank.